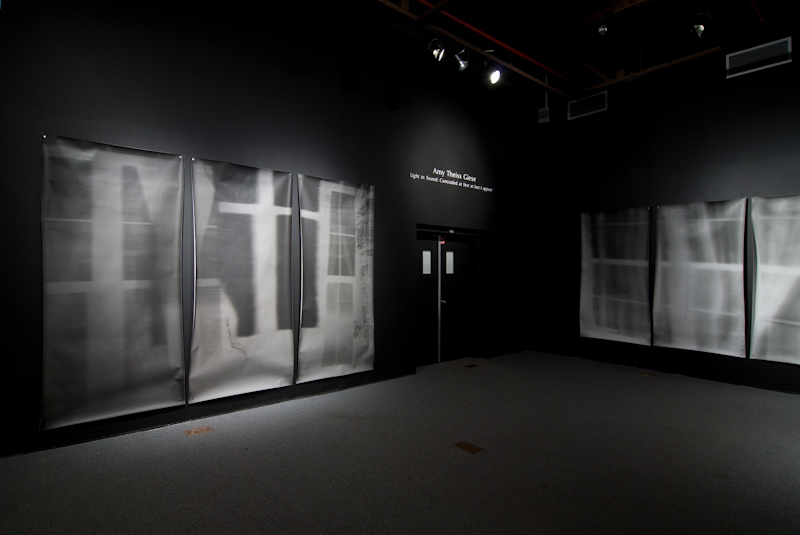 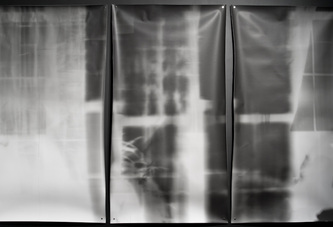 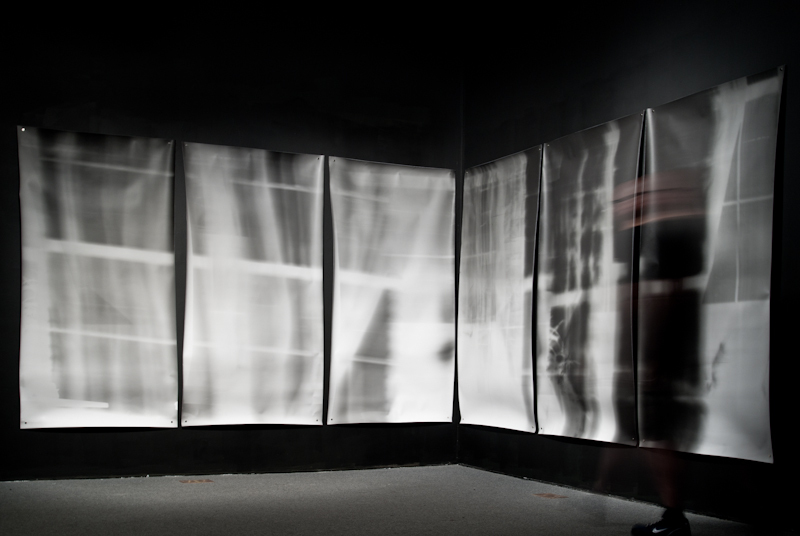 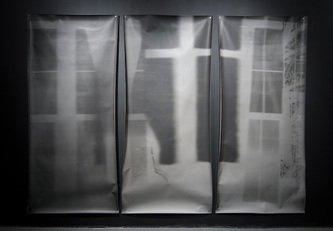 The large-scale, unique, silver gelatin skiagrams (Greek for "shadows written") that I make are a direct recording of the shadow patterns in a room at night. 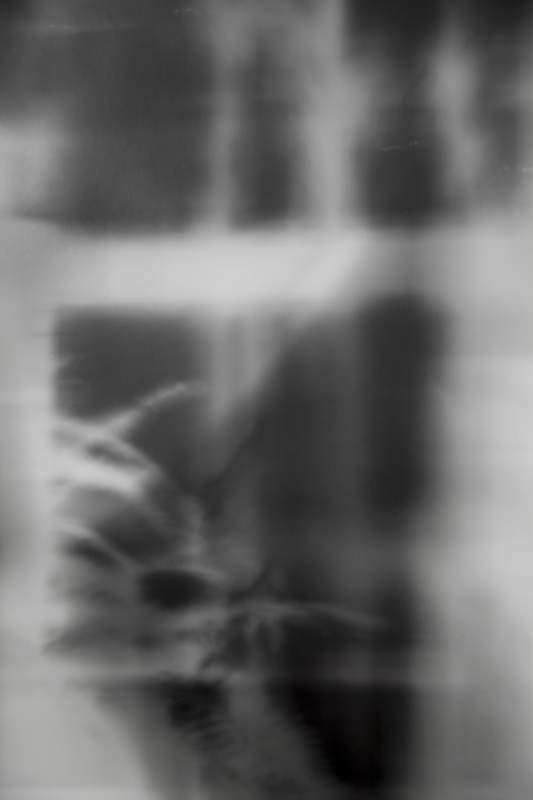 The indexical image created is abstract, liminal, indistinct. 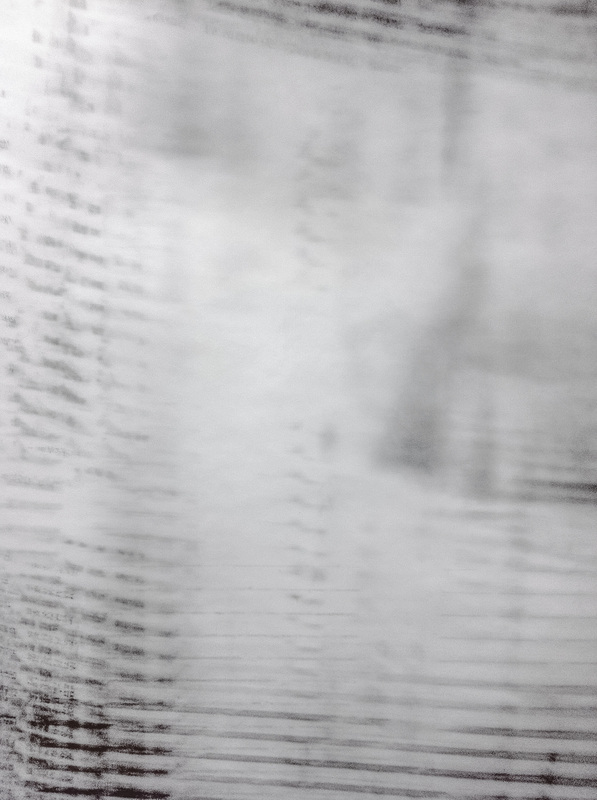 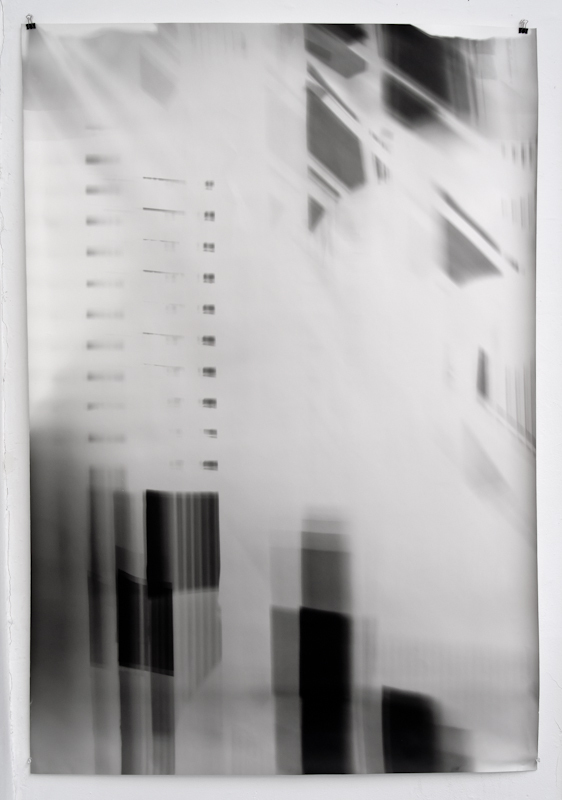 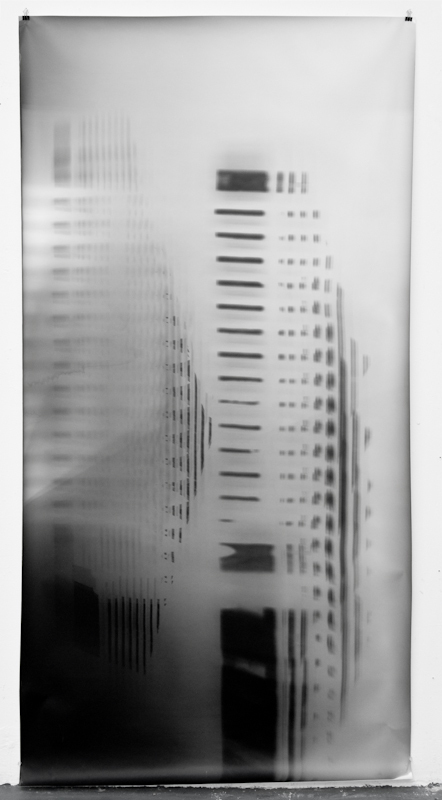 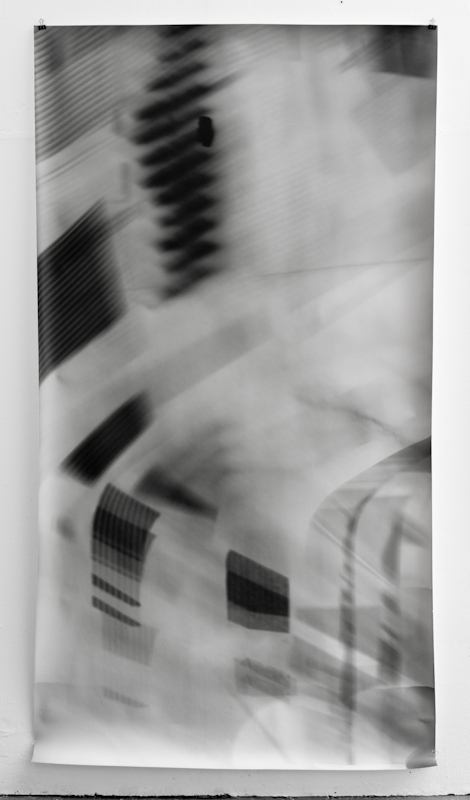 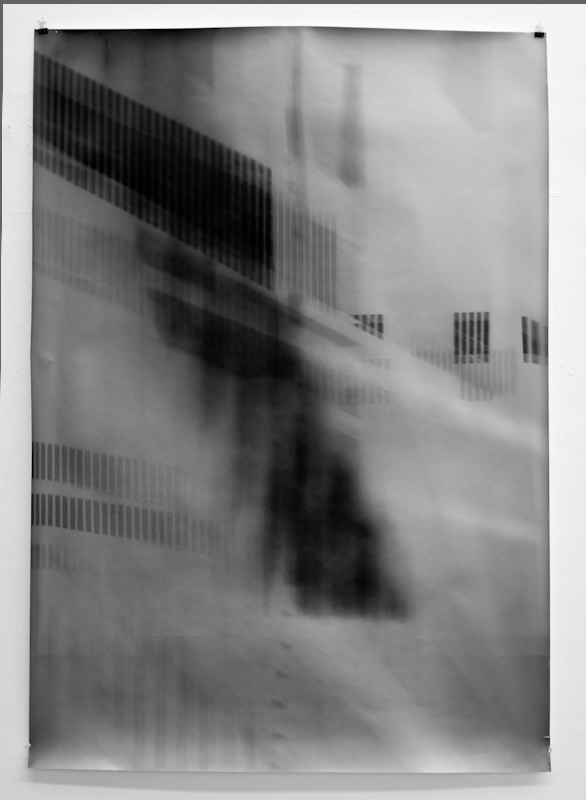 The project is an exploration of how the inherent properties of silver gelatin paper capture and hold elements of a specific time, place, moment. 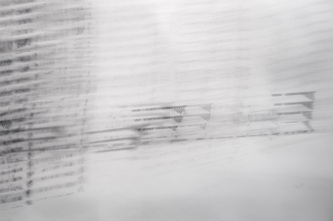 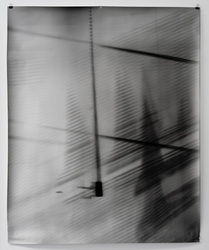 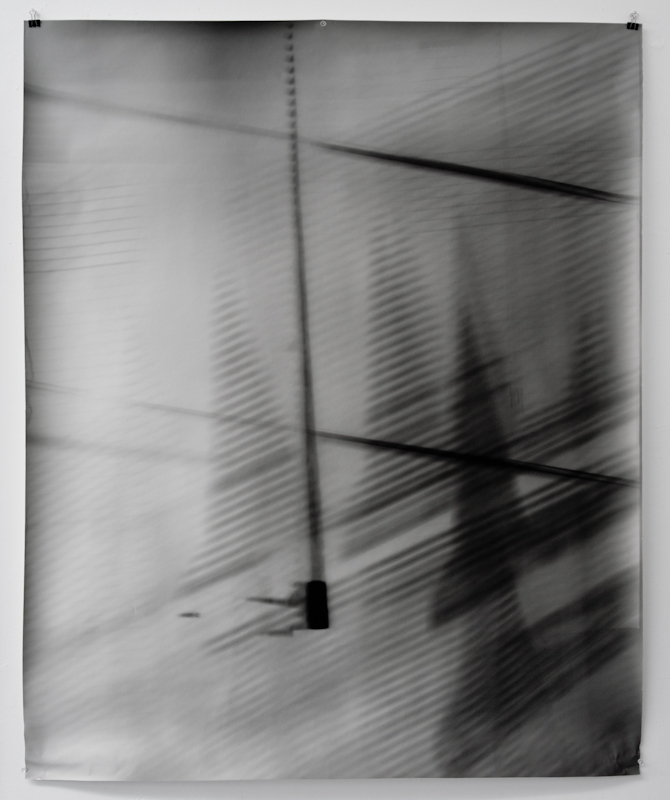 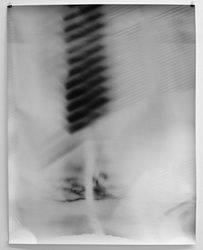 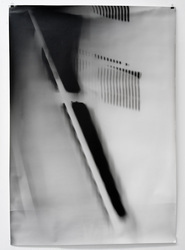 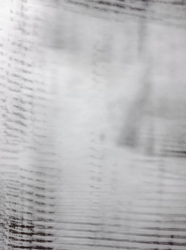 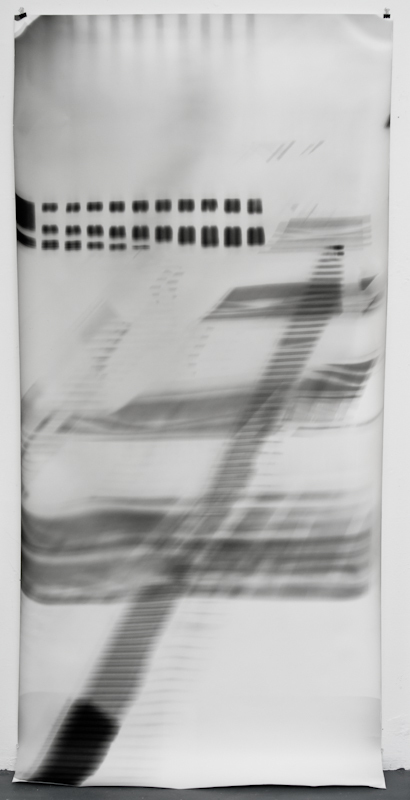 The work also is about confounding the expectations of the viewer – that photographs are “of” something recognizable. 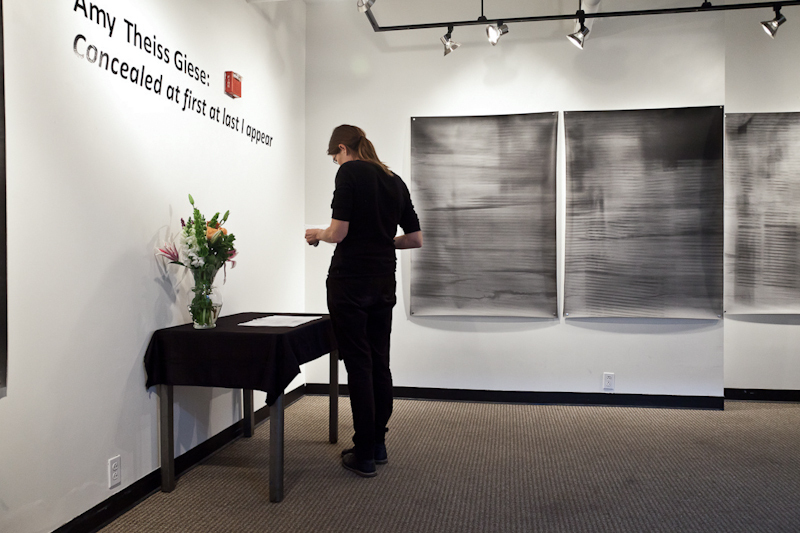 Ultimately, the skiagrams are a play between light and dark, tangible and abstract, a physical object and the ephemerality of a moment. I am always looking for new opportunities to create and exhibit these site specific works. 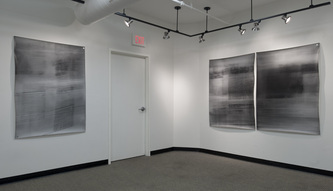 Series of twenty unique pieces. 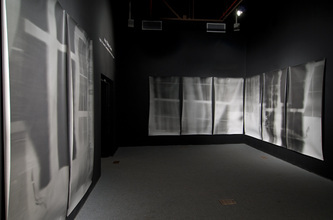 Each skiagram is a record of the same space, but capturing different dates, times and patterns. 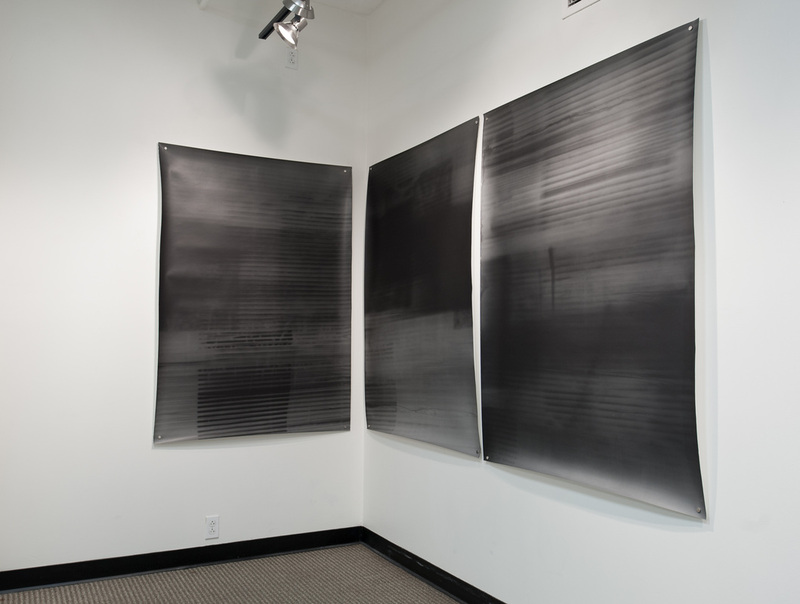 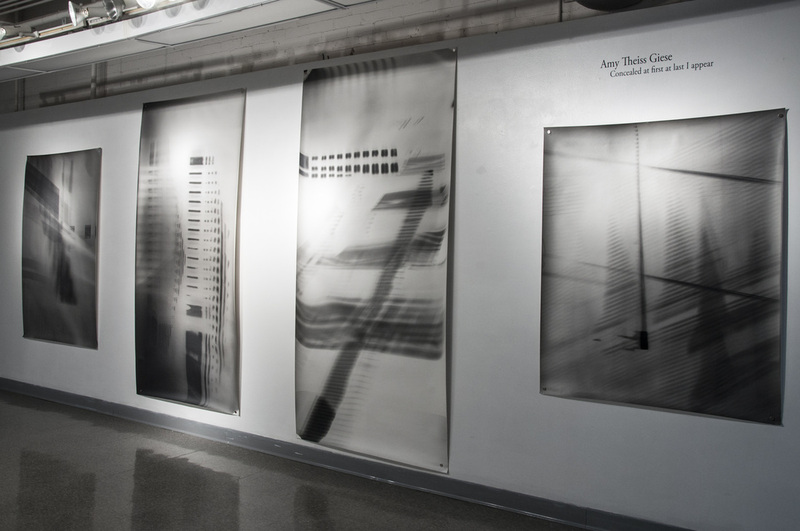 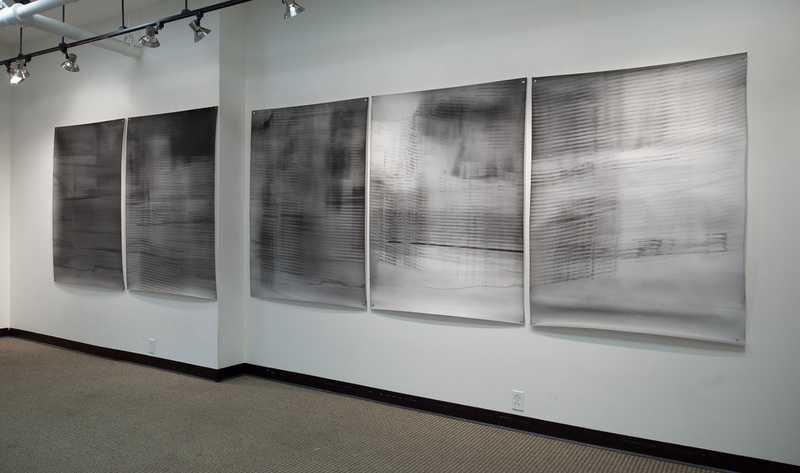 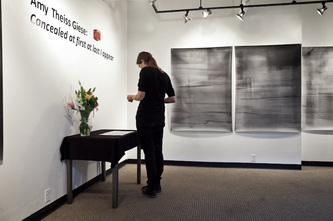 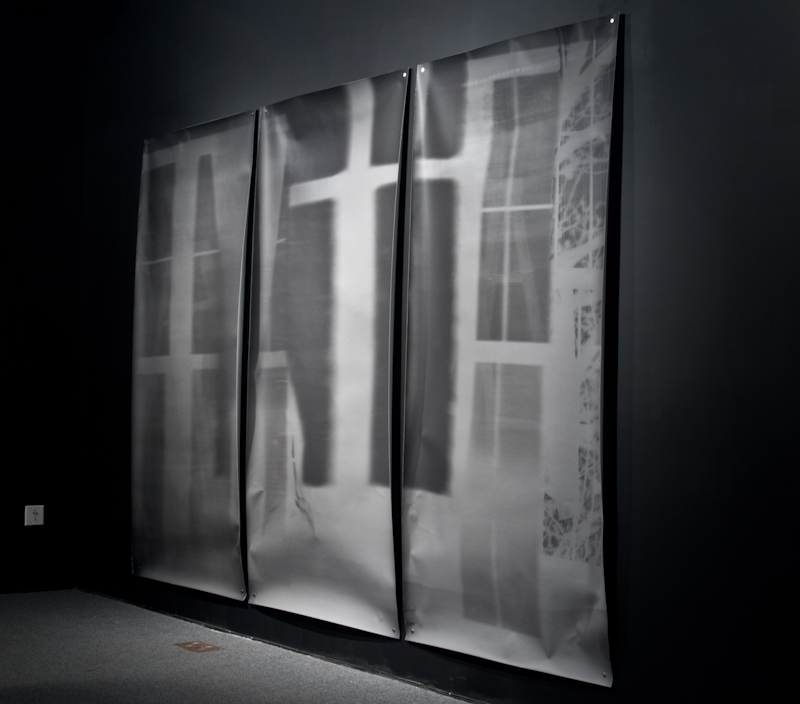 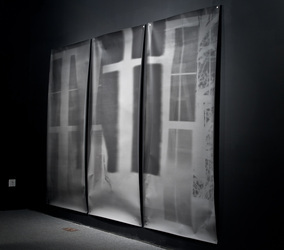 The installation view is from an exhibition at the University of Notre Dame. 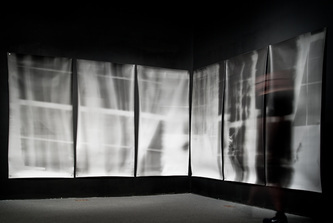 Site specific installation of two multi-panel skiagrams and an original sound composition in six parts. 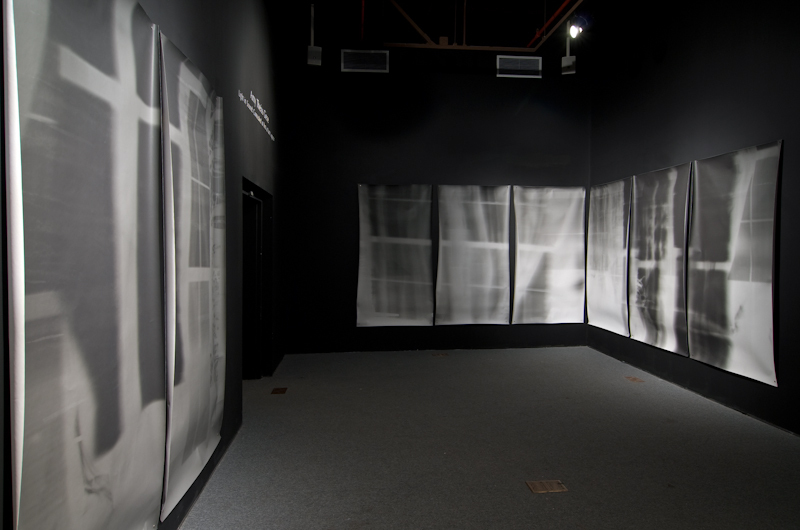 The sound composition is translation of the six-panel skiagram layered with field recordings of the room when the images were made. Site specific installation of eleven skiagram murals. 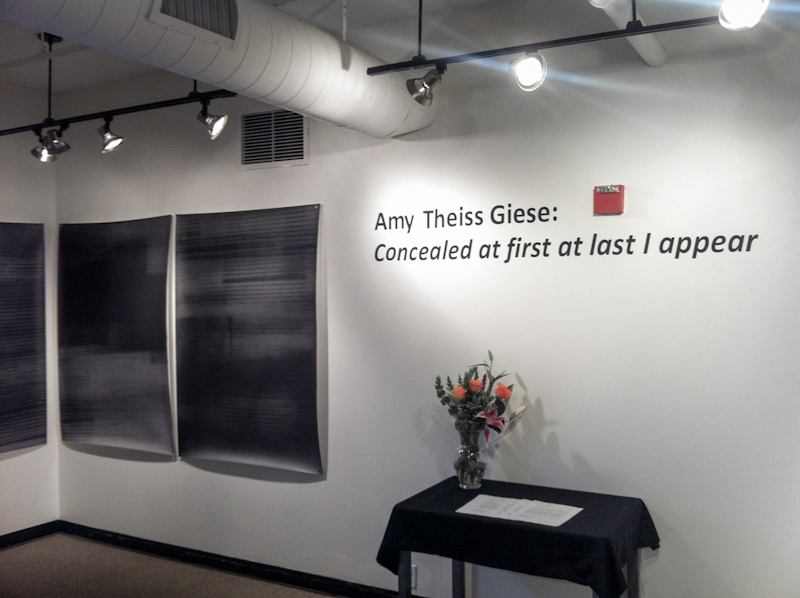 The piece was exhibited at the Garner Center for Photographic Exhibitions. 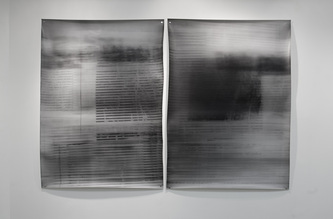 This three panel skiagram piece and corresponding sound composition were created for my solo show at the Granary Art Center in Ephraim, UT. 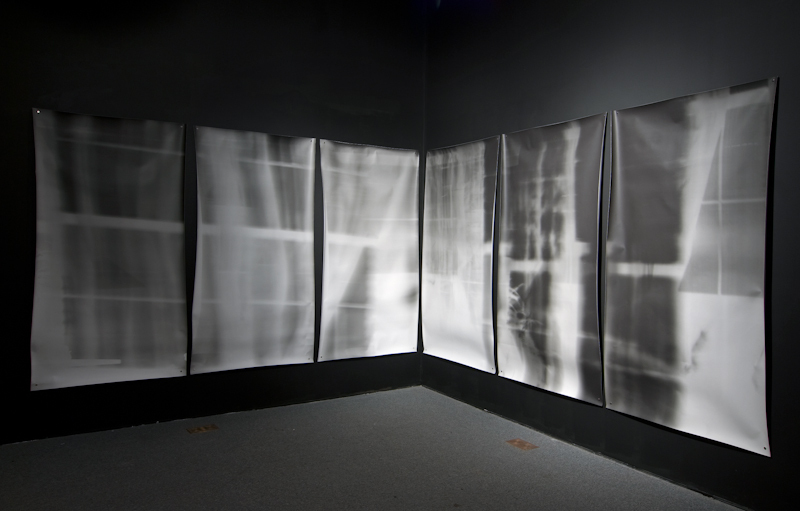 The sound composition is a translation of the three-panel skiagram layered with field recordings of the rooms where the images were made.